It is well known that college students use technology for personal communication. Just look around any college campus and you would be hard pressed to find a single person without a cell phone, laptop or tablet. Now, several studies have shown that electronics can be useful in academia as well, as reported by U.S. News & World Report. 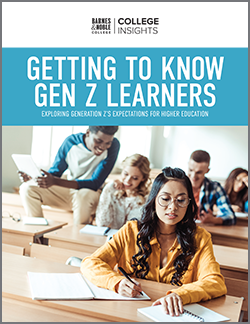 An October report by the Lone Star College System found that approximately 78% of college students feel that when technology is properly used for academia, it can improve grades and help students become more engaged in their studies, according to The Chronicle of Higher Education. 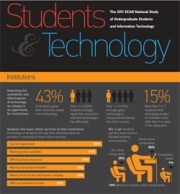 The survey also found that students said that owning these types of technological devices has a variety of benefits in an academic setting. The tools can help them find the resources to more easily pay tuition and register for classes. 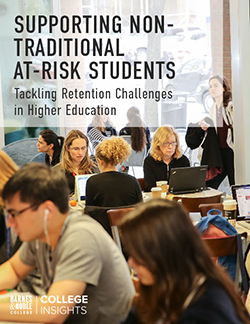 Additionally, many college students said technology can help them be more productive and allow them to feel connected to their academic communities. e-Commerce – Customized websites that deliver a smart, intuitive shopping experience that’s easy and convenient for today’s students. We have integrated the social networking features of our more than 500 campus bookstore Facebook pages with our e-commerce websites, creating a seamless shopping experience. Registration Integration – Students can reserve and order textbooks at the same time they register for courses online, giving them early access to our supply of lower-cost used and rented textbooks. Student Financial Aid – Our sophisticated financial aid system uses cutting-edge communications technology to simplify the management of financial aid transactions. The proprietary software is fully integrated with our point-of-sale technology and enables financial aid students to purchase books seamlessly, in store or online. NOOK – We are changing the digital reading experience with our award-wining NOOK™, NOOK Color™, and the all-new NOOK Tablet™ eReaders, and NOOK Study™, our free and feature-rich eTextbook studying and learning platform. Read the entire U.S. News & World Report article for more information.